As a competent consultant for active development processes, we cooperate closely with our customers. Dialogue is opened at a very early stage. The first product ideas or customer sketches often constitute the starting point for the joint development process. The next step involves formulating a concrete profile of requirements. After this, our engineers develop the corresponding components in modern CAD workplaces. Throughout the entire development phase, we keep in close contact with our customers. In doing so, we develop functional solutions including economical and efficient production. 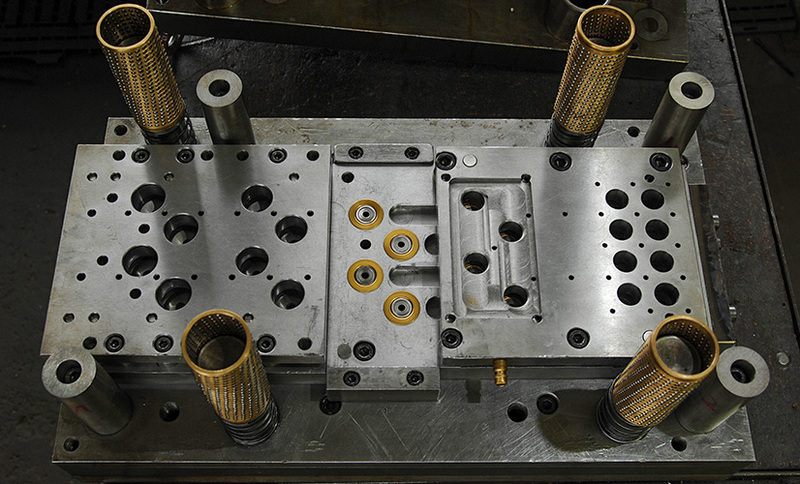 Prototyping is an important step in the development process of complex components. When creating products to specifications, we ensure clear coordination regarding the design of the products and the associated choice of materials. 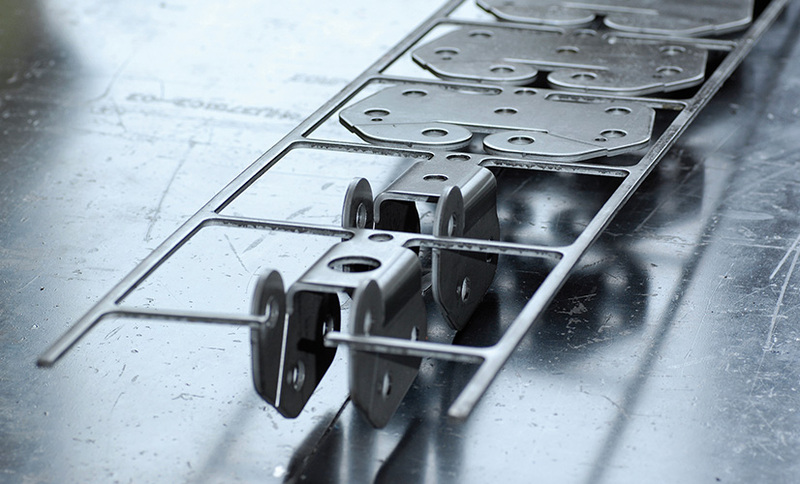 Using the prototypes we have produced, we are able to review the construction concept together with our customer and create a final design for mass production. Our prototypes undergo internal tests. Furthermore, external specialists are at our disposal. Further tests under mechanical, thermal and thermomechanical stress serve to check and confirm the process parameters and material batches we have specified. Building complex tools requires precision. 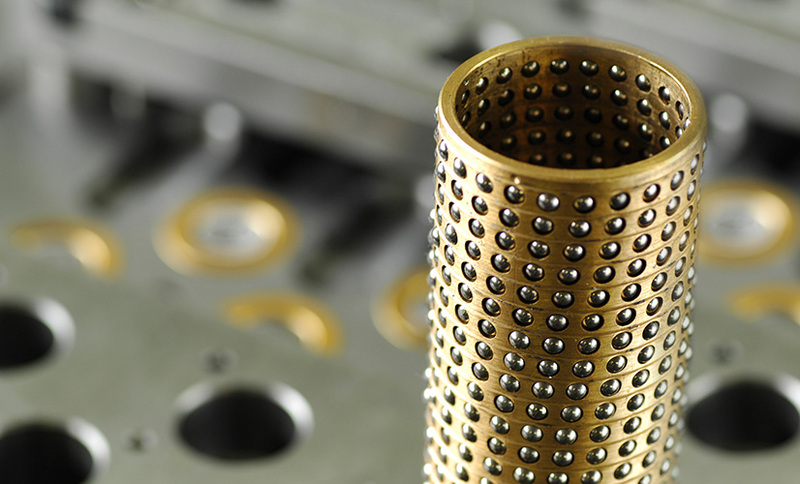 Only a perfect tool guarantees the highest level of precision in production. Our understanding of tool production is based on our combination of the manual traditions of tool mechanics combined with modern technology. 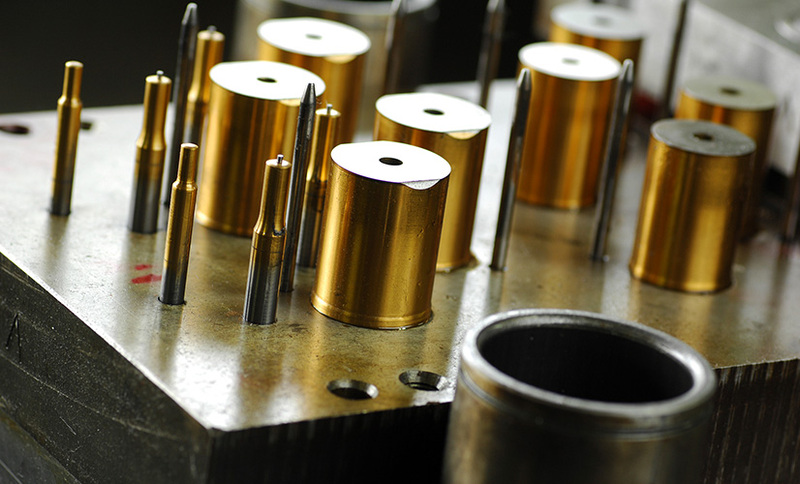 The complete range of our tools are developed and produced by our own tool production. Therefore, we use computer-controlled tool machines. This guarantees the high quality and reproducibility of our tools. An extensive spare parts store also ensures that the production process runs without disruption. Special machines are also build in-house. This base insures a ﬂexible reaction to customers’ needs at any time. »Schmits-Mettmann« uses the dynamics of technological development in forming techniques with continual investment in production plants which are up to date with technology. So, the level of automatisation in our production lines rises increasingly. The integration of most modern technology ensures efficient mass production and guarantees the maximum level of precision. We manufacture our products in modern automatic punching presses using progressive and transfer systems with programmable feeds. Short preparing times enable the manufacture of medium and small quantities in addition to mass production. 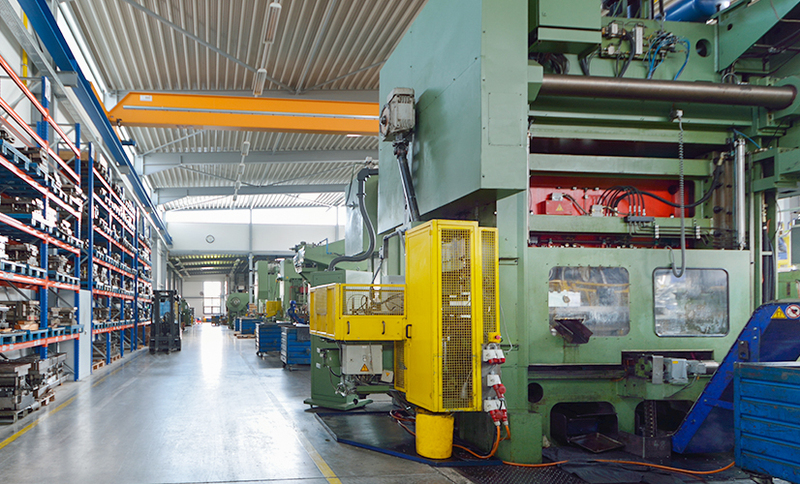 Eccentric and hydraulic presses, as well as special machines, are available for further processing. »August Schmits« uses computer-aided quality assurance (CAQ) as an element of quality management. We analyse, document and archive quality-relevant information regarding our production processes. Using statistical process monitoring, we achieve highest quality. The continual evaluations confirm the high quality of our products, just as our customers expect. The fact that our processes are monitored, and that the quality of our products is transparent, demonstrates our certification to IATF 16949:2016. This has created a consistent standard for automotive suppliers which has been recognised worldwide, and »August Schmits« meets this standard as a certified business partner. It is not enough just to produce quality products. They also need to be available at the exact moment they are needed, and in the exact place where they are processed. We promise our customers short reaction times and permanent availability worldwide. 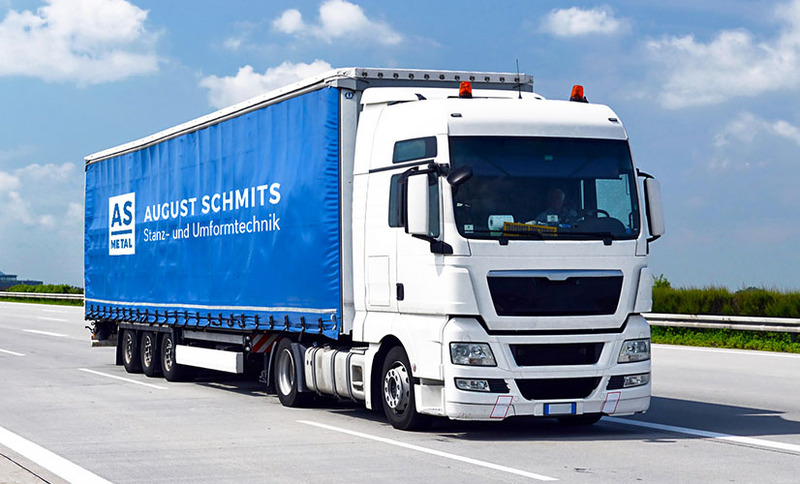 We deliver exact quantities »just in time« and in accordance with all common logistics concepts. To do this, we control our merchandise management and logistics using our high-performance IT, and convey requirements of our customers using »EDI«. Our excellent delivery capability strengthens both our own market position and that of our customers, meaning that they can always comply with their responsibilities as system suppliers.